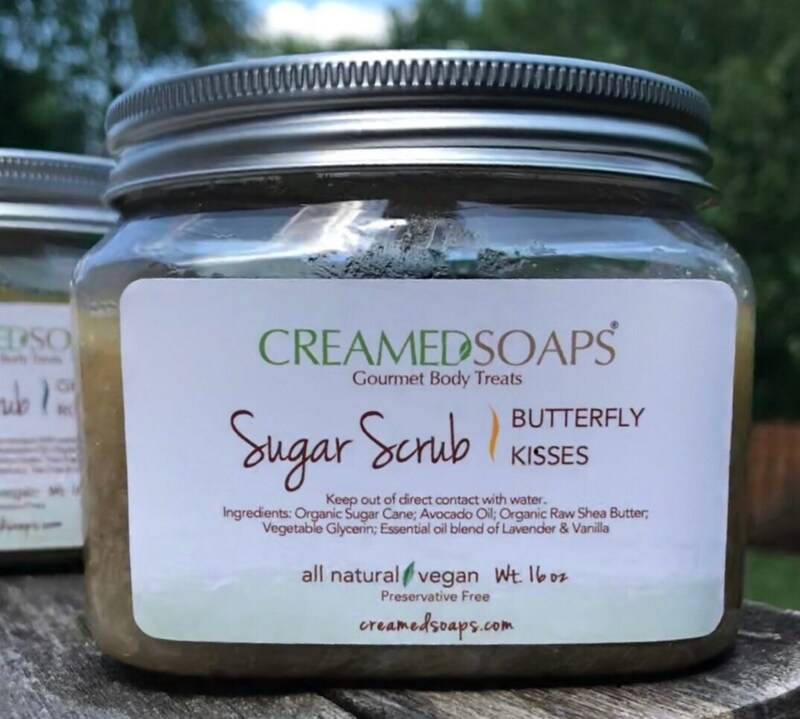 "Butterfly Kisses" is a vegan sugar scrub that has been crafted with Organic Vegan Sugar, Organic Raw Shea Butter, Avocado Oil and Vegetable Glycerin. 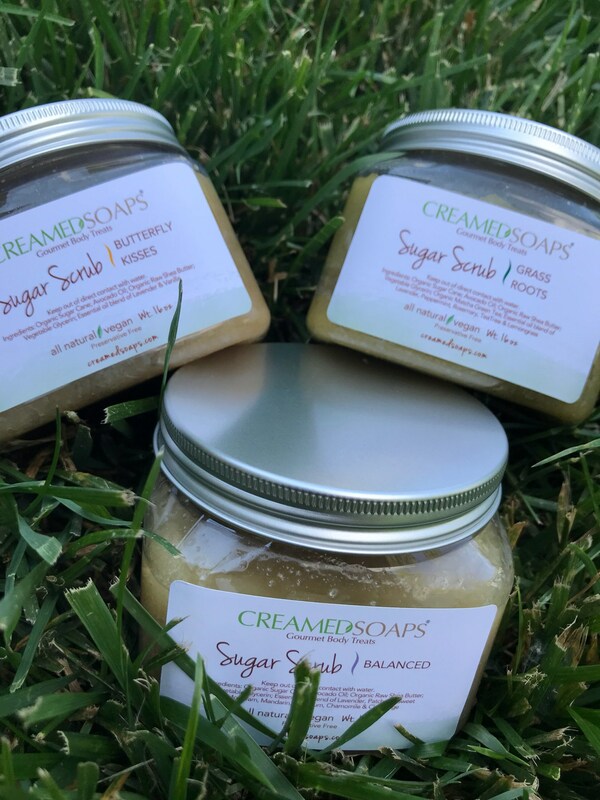 This scrub offers a warm comforting scent that hugs you and holds you close with the essential oil blend of Lavender and Vanilla. Are you a fan of Vanilla? 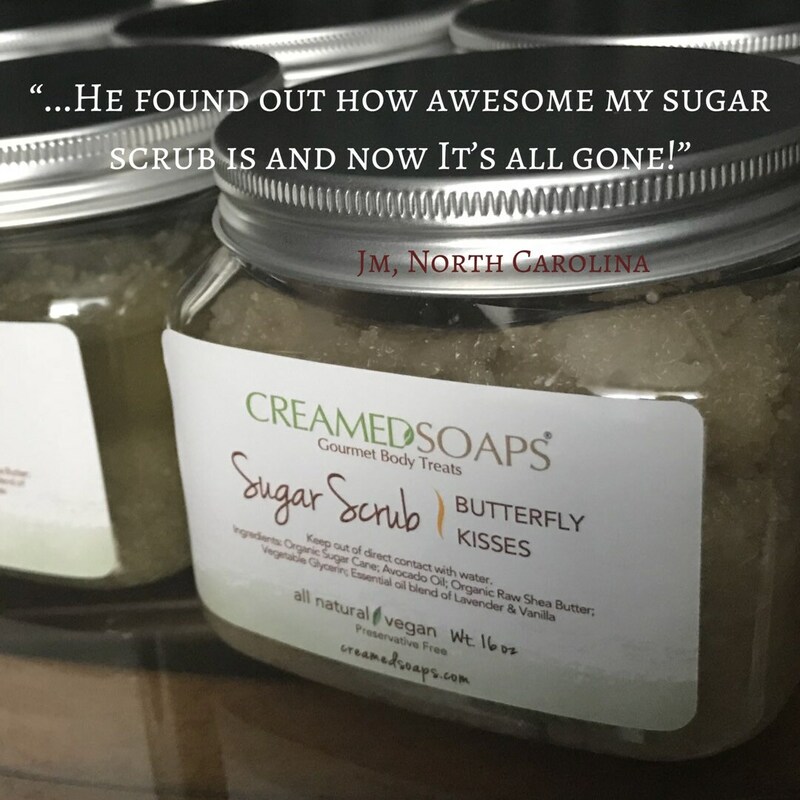 Then this scrub is for you! Lavender has been added to bring a backdrop of freshness that Vanilla warmly welcomes. Please note this product is Preservative Free. Keep out of direct contact with water.